Wonderful original 19th century Delft tile mural depicting a dog in manganese wearing a beautiful blue collar with a yellow ring attached to it. 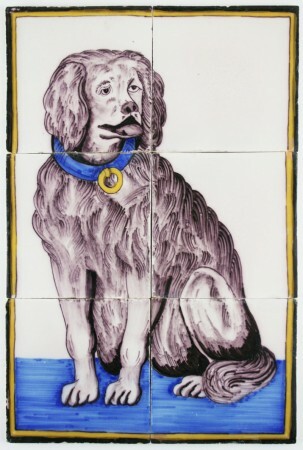 The dog sits on a typical Delft blue colored floor. 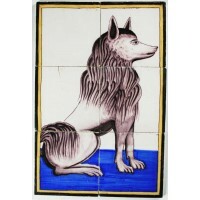 The mural was completely fabricated and painted by hand around 1880, probably in the city of Utrecht. 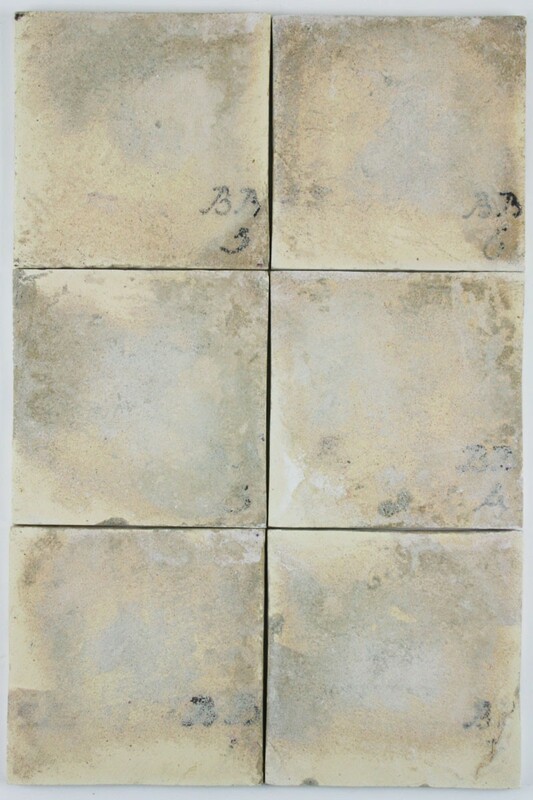 Great to use for restoration or interior design projects, such as a kitchen backsplash, hallway or living room.